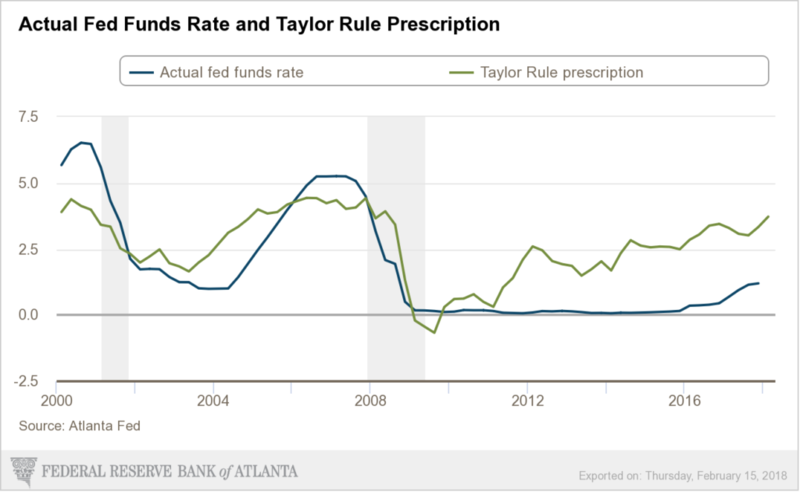 On January 9, 2017 I wrote a post (“Low Interest Rates And The Formation Of Asset Bubbles“) that mentioned the “Taylor Rule.” As discussed in that post – and for other reasons – the level of the Fed Funds rate – and whether its level is appropriate – has vast importance and far-reaching consequences with regard to many aspects of the economy and financial system. This entry was posted in Bubbles (Asset), Intervention and tagged asset bubbles on April 3, 2019 by Ted Kavadas. This entry was posted in Bubbles (Asset), Intervention and tagged asset bubbles on June 20, 2018 by Ted Kavadas. This entry was posted in Bubbles (Asset), Intervention and tagged asset bubbles on February 15, 2018 by Ted Kavadas. This entry was posted in Bubbles (Asset), Intervention and tagged asset bubbles on August 18, 2017 by Ted Kavadas. The existence of various immensely large asset bubbles continues to be among the most worrisome aspects of today’s financial and economic system. I have written extensively about this asset bubbles issue. There are many theories as to why asset bubbles form. My own thoughts on the matter are highly complex, especially concerning the current-era bubbles. One of the asset classes that is an immensely large asset bubble is the stock market. Aside from conclusions derived from analyses concerning stock market valuations, the stock market also has the “look” and “feel” similar to past large asset bubbles. While no one likes to contemplate a future rife with economic adversity, I do believe that our current economy and financial system on an “all things considered” basis have vastly problematical working dynamics much more pernicious than those existent prior to and during The Great Depression. This entry was posted in Bubbles (Asset) and tagged asset bubbles on March 1, 2017 by Ted Kavadas. The existence of asset bubbles continues to be among the most critical – and troubling – characteristics of the current-era U.S. economy. I have written extensively on the subject for a number of reasons, including its monumental importance as well as its poorly understood nature. 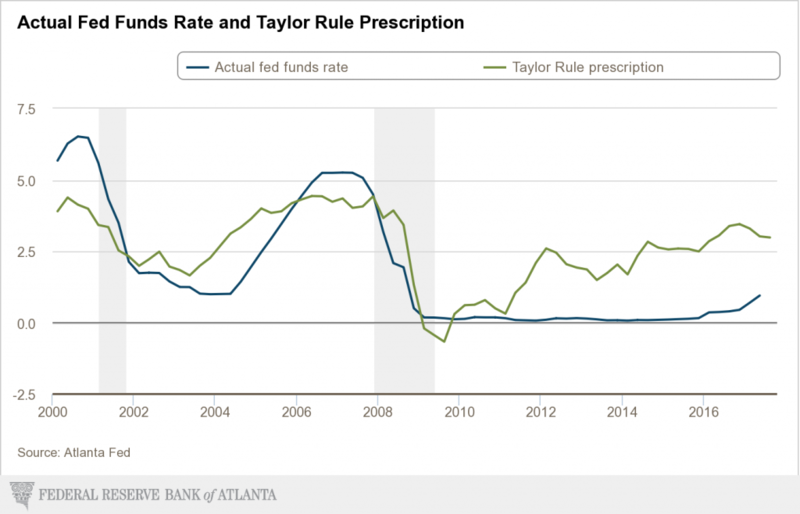 Mr. Kashkari’s argument against rules-based strategies focuses on the “Taylor rule,” which emerged from my research in the 1970s and ’80s and has been used in virtually every country in the world. The rule calls for central banks to increase interest rates by a certain amount when price inflation rises and to decrease interest rates by a certain amount when the economy goes into a recession. 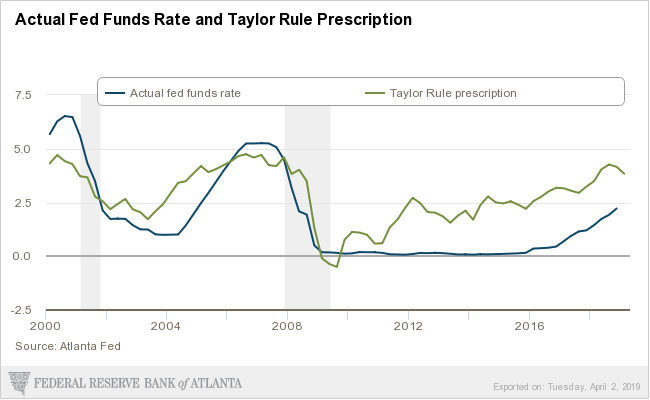 While my thoughts on the “Taylor Rule” are complex and aren’t suitably discussed in a brief manner, I will say that I don’t necessarily agree with its theoretical framework and/or the methodologies employed, or implications. However, I do think that its current readings are both notable and informative. 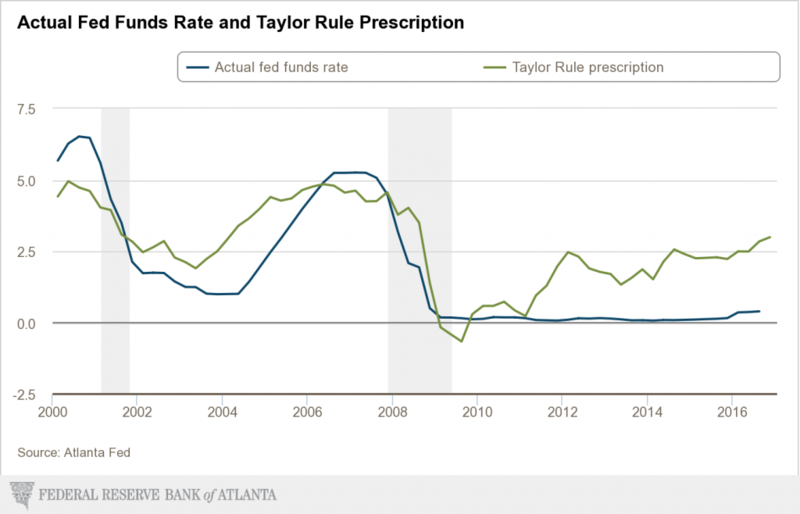 Among notable aspects, one can clearly see that the Fed Funds rate has been far below the “Taylor Rule” prescription for a protracted time period. 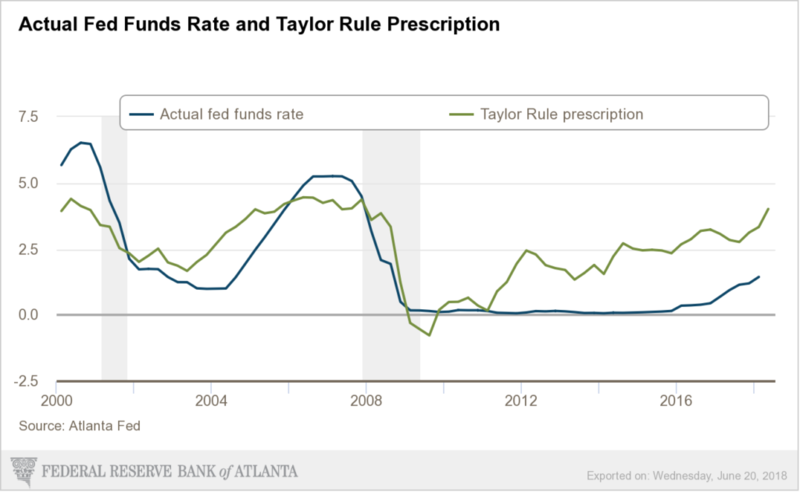 The Federal Reserve Bank of Atlanta provides detailed information concerning the “Taylor Rule,” which includes the chart shown below. One should note that the readings are influenced by a number of assumptions, and thus it is both possible and likely that the readings of the model can change significantly with changes in the assumptions. This entry was posted in Bubbles (Asset), Intervention and tagged asset bubbles on January 9, 2017 by Ted Kavadas. In previous posts I have discussed the Bond Bubble and its many facets, as my analyses indicates that the overall bond market is an exceedingly large asset bubble with immensely large and wide-ranging economic implications. 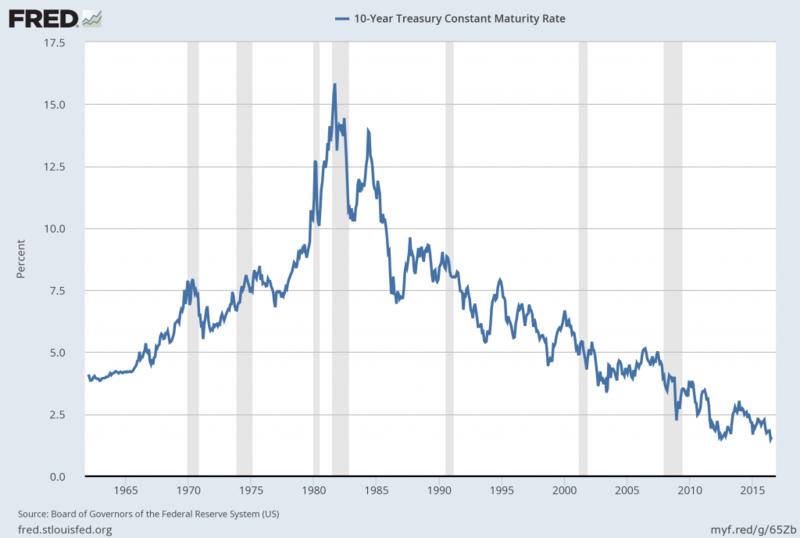 Since my last post on the Bond Bubble (the June 24, 2014 post titled “The Bond Bubble – June 2014 Update“) I have written various posts about interest rates and associated dynamics. As seen in practically all economic forecasts, the belief that the ultra-low interest rate environment will continue to be sustained is widespread. There are various highly notable aspects of the Bond Bubble that lack general awareness. While a comprehensive discussion can’t be done in a brief manner, many of my previous posts have discussed certain aspects. While I have not spent considerable effort trying to ascertain the level of this “natural” interest rate, I have little doubt that such a “natural” rate on the 10-Year Treasury would be at least 5%-10% and most likely considerably higher (possibly multiples thereof). Of course, such rates would have massive implications on a number of fronts. The prospects of such a large increase in interest rates – which, due to many dynamics of the bursting of this particular bubble – will likely happen in a short period of time. Overall, this situation is of tremendous concern on many levels, including the impact such rising interest rates will have on other immensely large asset bubbles, including the stock market. The perils of this bond bubble and its future “bursting” can hardly be overstated. This entry was posted in Bubbles (Asset) and tagged asset bubbles, bond bubble, bubbles, U.S. Treasuries on July 27, 2016 by Ted Kavadas. Many people don’t believe that we are currently experiencing a stock market bubble because their primary reference regarding stock market bubbles is that of the mid- to late-1990s, in which there was a stock market bubble with immense speculative activity, wildly resplendent “price action” in the technology and internet sectors, and many exceedingly high (in some cases stratospheric) company valuations. It was an amazingly notable period for many reasons. Today’s overall stock market bubble is not as “overt” and “flamboyant” in nature and many “bubble” aspects aren’t necessarily (widely) recognized or necessarily understood. 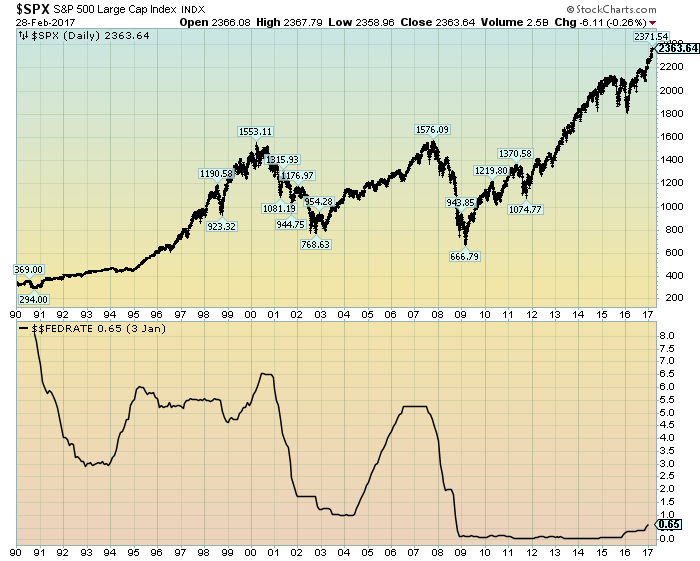 However, just because the obvious signs aren’t glaringly obvious doesn’t mean that the bubble’s magnitude is smaller. One of the problems in identifying an asset bubble is that there is no standard definition of one, and many – if not most – bubbles are identified “after the fact.” As there is no standard definition of an asset bubble, there is no definitive measures to “prove” or “disprove” of one’s existence. However, there are many underlying financial conditions that historically have led to asset bubbles. While the list is extensive, among the more notable conditions are (ultra) easy monetary policy and the accompanying ultra-low interest rate environment, both of which have been extant for a number of years now. 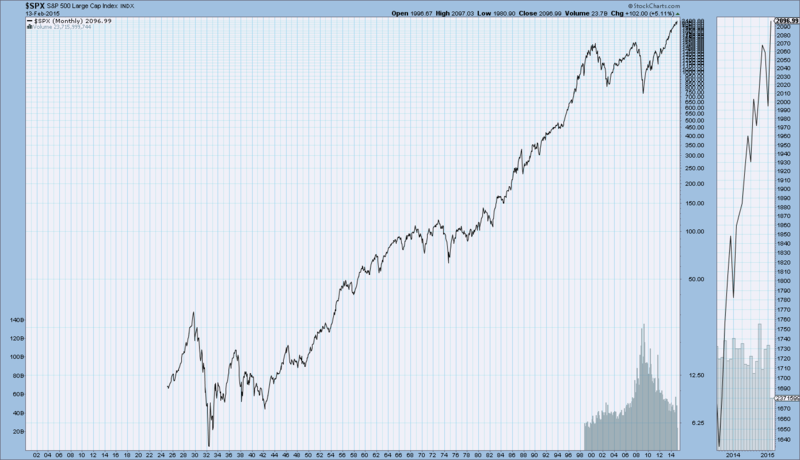 My posts concerning the existence of the stock market as being in an asset bubble date back to 2011. While I base this view both on technical analysis and fundamental analysis factors, in this post I will primarily focus on fundamental measures. While a full discussion of these factors would be exceedingly lengthy and, at times, very complex, below is discussion of some of the more notable factors, including earnings and valuations. The current 12-month forward P/E ratio is 17.1. This P/E ratio is well above the 5-year (13.6) average and the 10-year (14.1) average. Other factors that have increased profitability is cost-cutting, subdued hiring, and continually-low increases in (nominal) labor costs. Of note, this occurred during a recent period of low revenue growth. Additionally, as one can see from both the net profit margins chart mentioned above as well as in the Wall Street Journal article, consensus analyst expectations are for a further rise of net profit margins to over 11% by 2016. US. 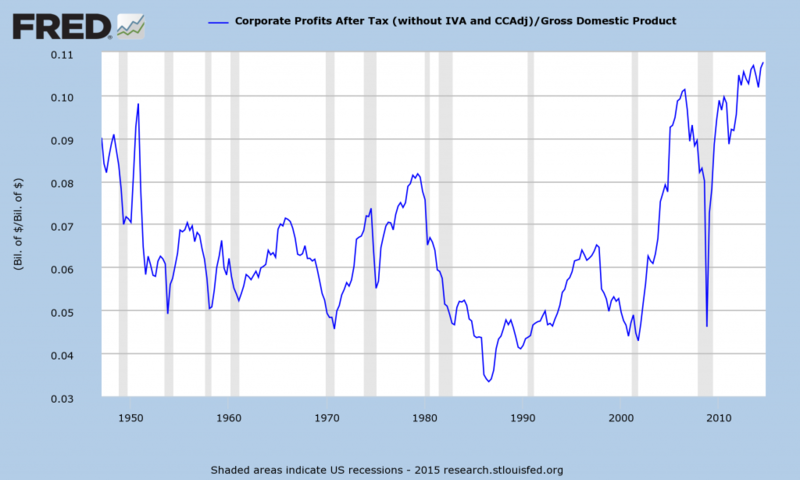 Bureau of Economic Analysis, Corporate Profits After Tax (without IVA and CCAdj) [CP], retrieved from FRED, Federal Reserve Bank of St. Louis https://research.stlouisfed.org/fred2/series/CP/, February 13, 2015. While the above discussion indicates a stock market that is overvalued, if not very much so, there are many reasons why the stock market bubble is far larger than any before it. One of the reasons is the current distension – and forthcoming mean reversion – of many of the measures discussed above. While a detailed mean reversion discussion would be very lengthy and complicated – and as such isn’t suitably discussed in a brief manner – it is highly relevant with regard to the potential downside and associated financial and economic dynamics that will come into play. As well, the consequences of mean reversion will determine the magnitude of the ultimate stock market price decline, which will be the main measure as to this bubble’s magnitude. While projections are difficult to make due to a number of factors and the uncertainty that would accompany such a rapidly changing environment, changes in overall stock market valuations will certainly be far greater than most would assume. It appears that this issue of mean-reversion and the resulting revaluation greatly lacks recognition. This entry was posted in Bubbles (Asset), Investor, Stock Market and tagged asset bubbles, S&P500, S&P500 Earnings, Stock Market on February 17, 2015 by Ted Kavadas. Since my last post on the Bond Bubble (the February 6, 2013 post titled “The Bond Bubble – February 2013 Update“) I have written various posts about interest rates and associated dynamics. Perhaps one of the more striking aspects of the bond environment is that although 10-Year Treasury Yields are up significantly from their lows, various interest rates on less creditworthy securities are at or near their lows. This can be seen in various securities and bond segments, both domestically and internationally, including the BofA Merrill Lynch US High Yield Master II Index chart, which shows a current yield (as of June 20, 2014) of 5.18% and its OAS Spread at 3.36%. Of course, the question remains as to which direction interest rates, especially on the 10-Year Treasury, will take from here. 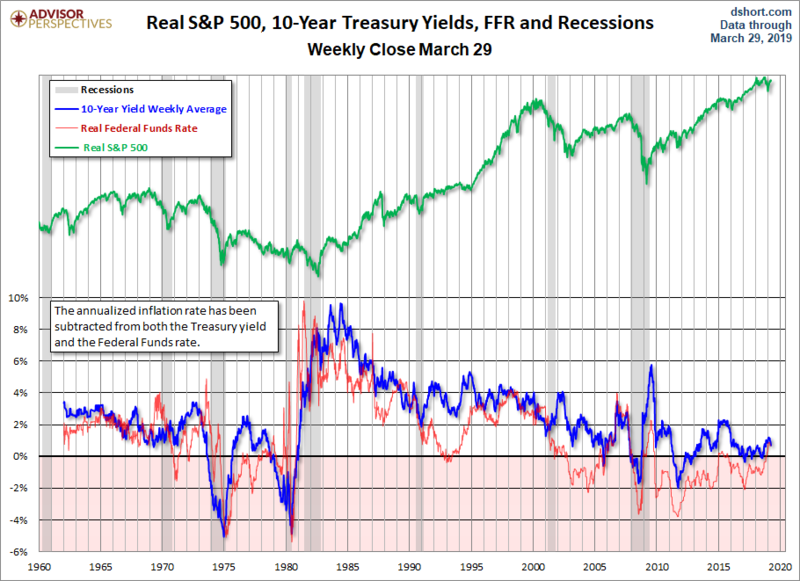 While there have been many arguments – including economic weakness – put forth that would indicate 10-Year Treasury Yields will fall from here, there are also many other (including those lesser-recognized) factors that indicate that the next sustained move on 10-Year Treasury Yields will continue upward. While the “up vs. down” argument is complex, my analyses indicate that the trend in the 10-Year Treasury Yield will continue upward. As I have explained in previous posts on interest rates and the Bond Bubble, such as the August 22, 2013 post “The Impact Of Rising Interest Rates,” what is particularly intimidating is the prospects for the economy and financial markets when the bond bubble finally “bursts.” While the duration of this bond bubble makes (ultra) low interest rates seem sustainable – and by extension, “natural” – my analyses indicate that this interest rate environment is nothing of the sort. Furthermore, relative to past rising interest rate environments, due to various current dynamics the coming increase in interest rates will be far more pernicious to the overall economy. This entry was posted in Bubbles (Asset) and tagged asset bubbles, bond bubble, bubbles, U.S. Treasuries on June 24, 2014 by Ted Kavadas. Of course, asset bubbles are often referred to as “speculative bubbles,” which is especially apropos. 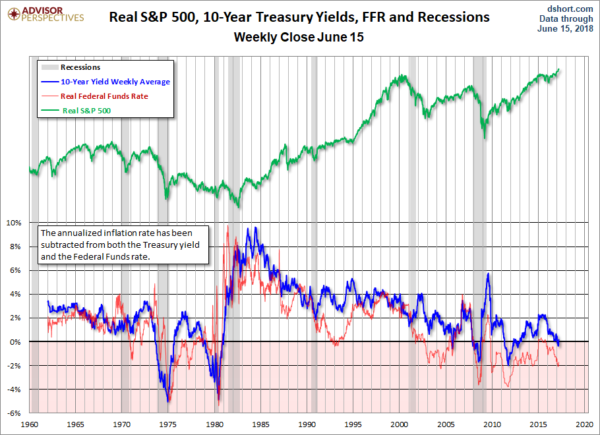 As one can see from the above chart, prolonged negative periods of the real Fed Funds rate has proven very problematical in subsequent periods. Whereas in the ’70s it led to high inflation, in the early 2000’s it first distended the housing bubble, and post-2008 has led to the distension – to grotesque dimensions – of various asset bubbles. It should be noted that asset bubbles are often widely seen as attractive and/or beneficial during their expansion phase. However, as I also noted in that post, few people foresaw the longer-term ramifications of the housing bubble, which is especially problematical as the housing bubble’s existence was obvious and the consequences of its “deflation” or “bursting” should have been easily envisioned. Given the (vastly) prolonged nature of some of the current asset bubbles, many undoubtedly see them as being enduring “fixtures” in the financial system. By outward appearances, it would likely seem absurd to even contemplate draconian downside price targets for various asset classes. Similarly, it would seem equally difficult to envision those who are ultra-wealthy suffering vast percentage losses of their net worth. While, in an overall sense, I believe there to be similarities between the current economic period and that preceding The Great Depression, I do believe that our current economy and financial system on an “all things considered” basis have vastly problematical underlying dynamics that dwarf those existent prior to and during The Great Depression. This entry was posted in Bubbles (Asset) and tagged asset bubbles on January 31, 2014 by Ted Kavadas.